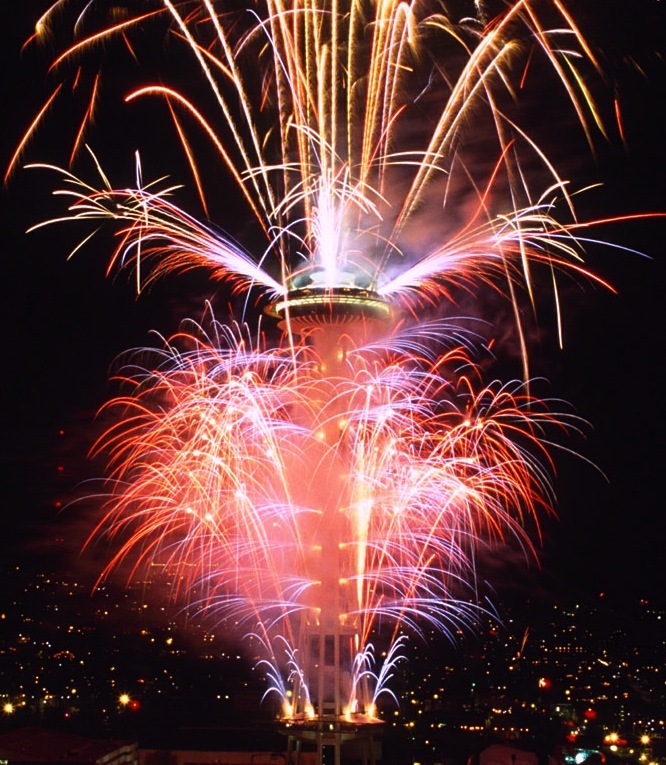 New Year’s Eve at the Space Needle! The Seattle Monorail will be open to provide transportation to Seattle Center to watch the New Year’s fireworks show at the Space Needle. More than 20,000 people are expected to gather below the Needle to watch the fireworks display – the show’s are always incredible! The monorail opens at 9 AM on Friday, December 31st. Trains depart every 10 minutes. We will carry our last train of passengers from Westlake Center to Seattle Center at 11:15 PM. We will go out of service from 11:15 PM until we receive the ‘All Clear’ from the Fire Marshall (usually around 12:20 AM). Once we receive the ‘All Clear’, we will resume service with trains leaving approximately every 5 minutes from Seattle Center to Westlake. We will be open until 1:00 AM. To summarize: We will carry passengers from 9 AM to 11:15 PM and then from the time we get the ‘All Clear’ to 1:00 AM. If you’re planning on taking the monorail to Seattle Center for the fireworks show, make sure you get on the monorail before 11:15 PM. We are open on New Year’s Day (Saturday) from 10:00 AM to 11:00 PM. Kids 12 and under ride FREE from 10:00 AM to noon! Have a happy new year! This entry was posted on December 30, 2010 by Megan Ching. It was filed under Information, RIDER ALERT and was tagged with Fireworks, Monorail, New Year's at the Needle, New Year's Day, New Year's Eve, Seattle Monorail, Space Needle, transportation, Westlake Center.